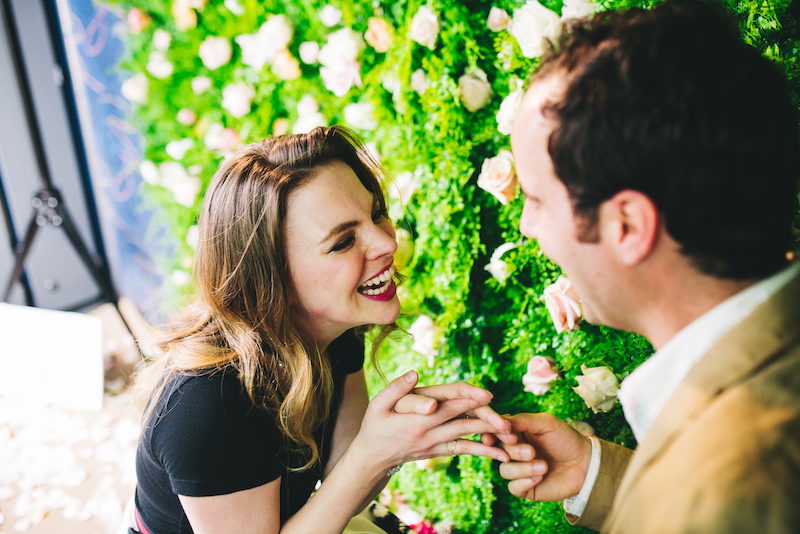 Valentine’s Day 2018 was one for the records books! 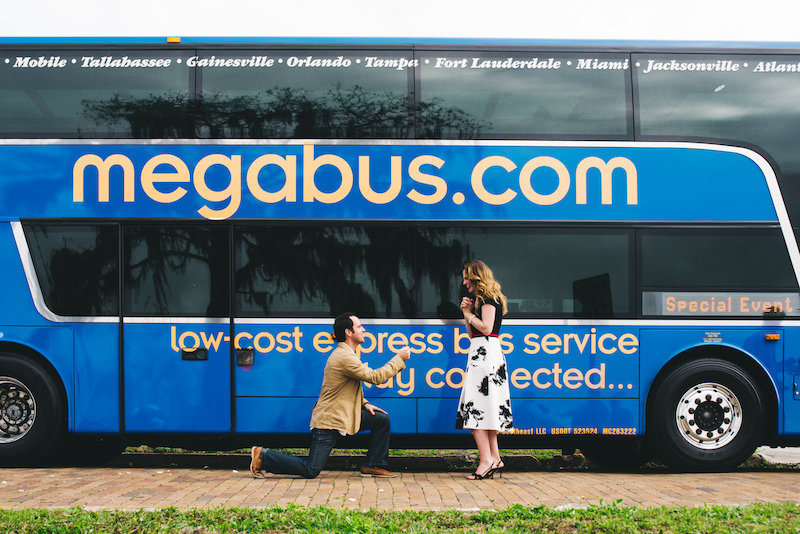 We teamed up with some amazing vendors to create a beautiful proposal on a Megabus in Orlando, Florida. 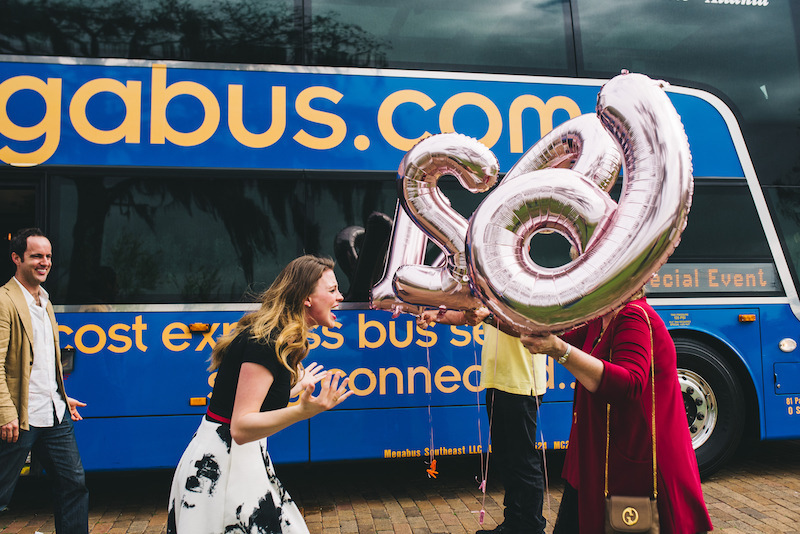 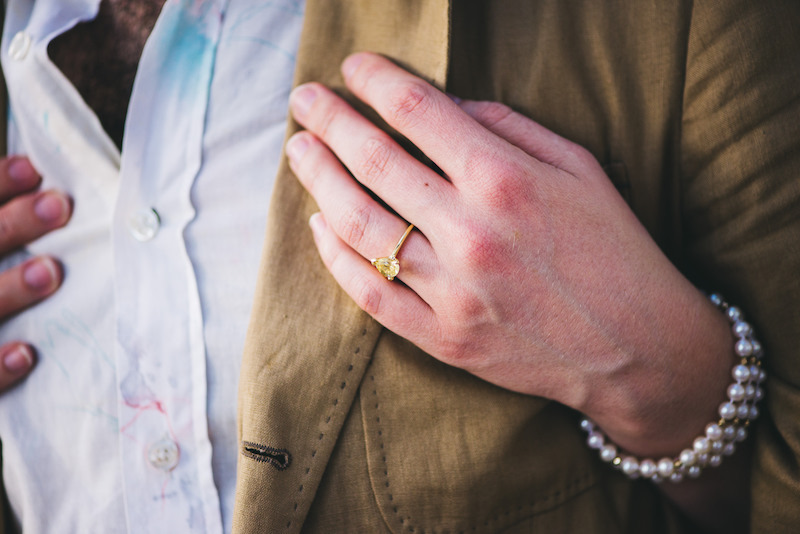 You heard me right – we got a couple engaged on a long distance bus!! 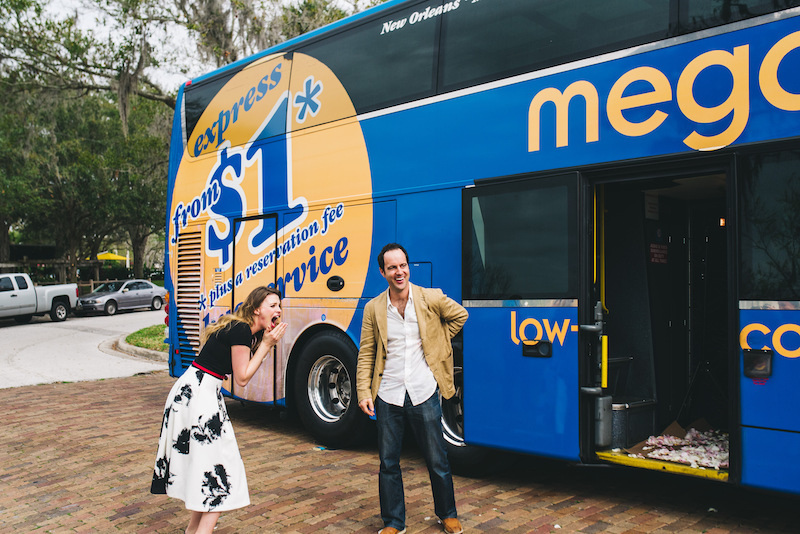 This couple has been dating long distance and they take Megabus to visit each other once a week. 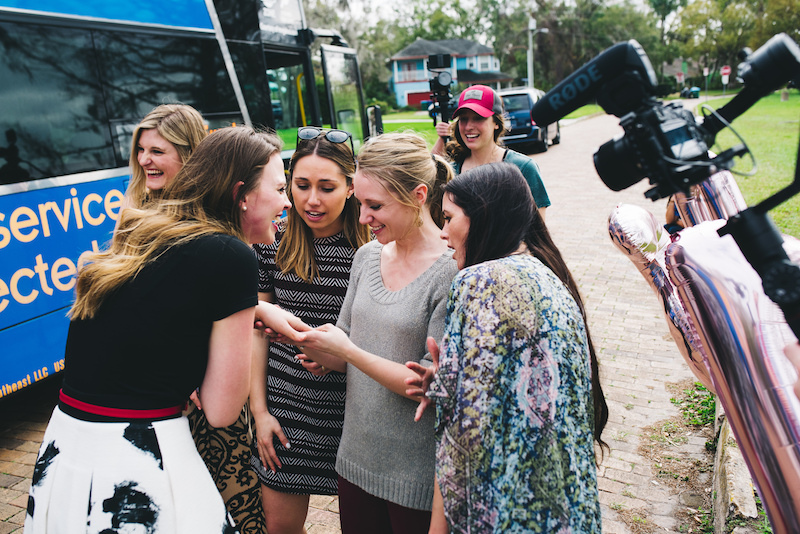 When all their mileage was added up they have traveled over 96,120 miles on the bus line to see each other! 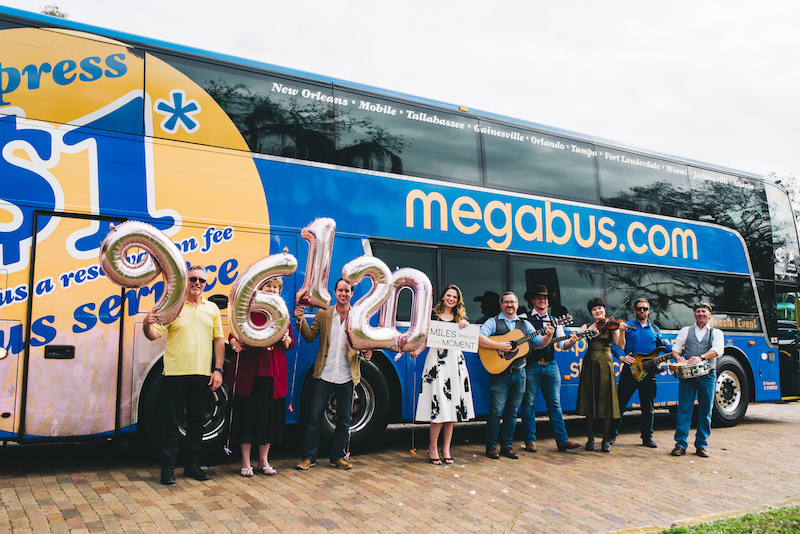 That’s almost 4 times around the world!! 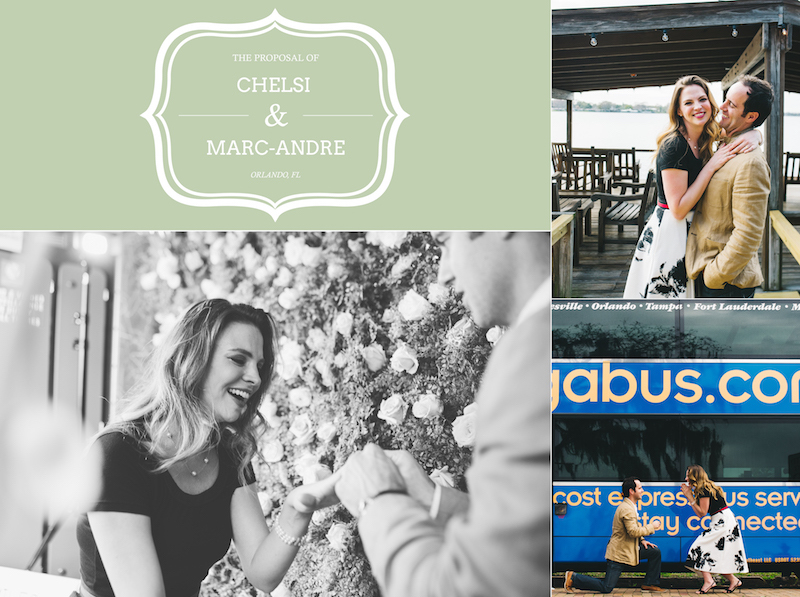 For the big day, Chelsi had traveled into Orlando to visit Marc-André for Valentine’s Day and they went back to the restaurant where they first met. 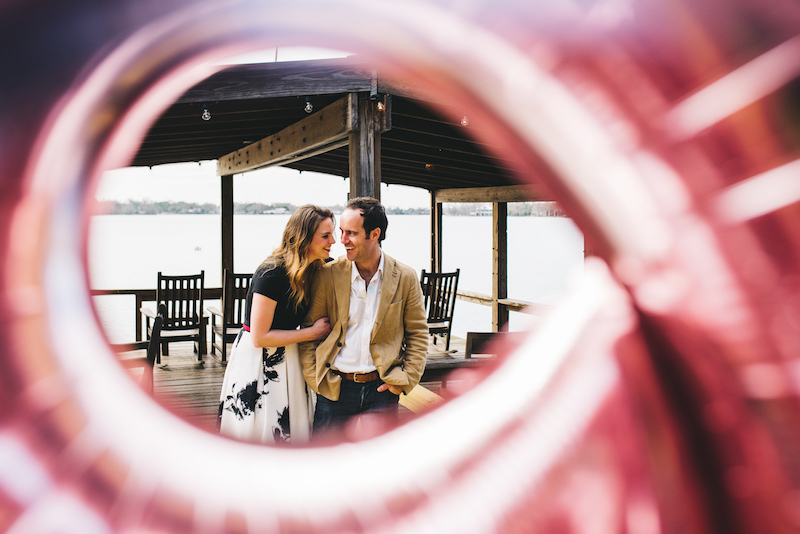 While enjoying drinks on the gorgeous patio, Marc-André slipped “to the bathroom” and left Chelsi alone on the dock. 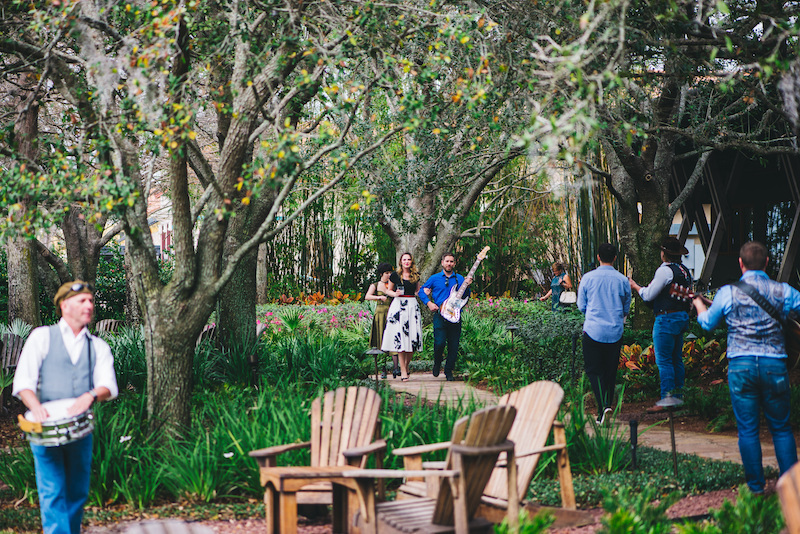 Then, a musician came up to her and started playing their “couple’s song” and asked her to follow the band! 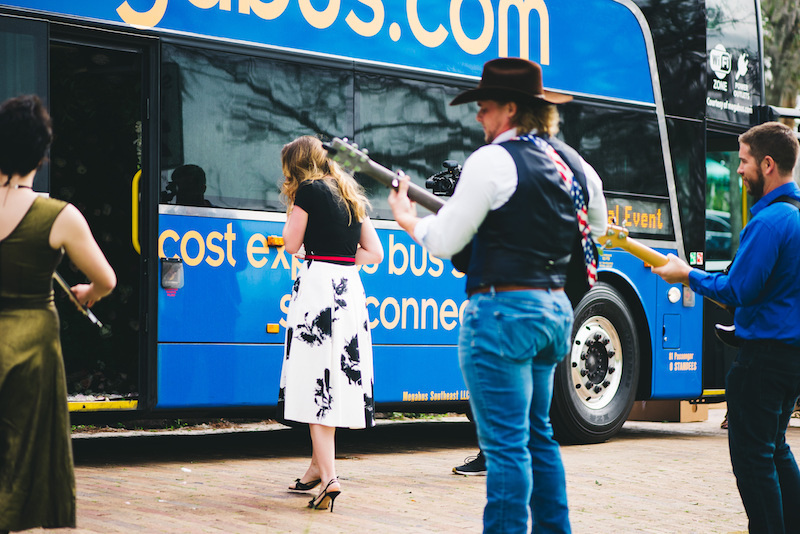 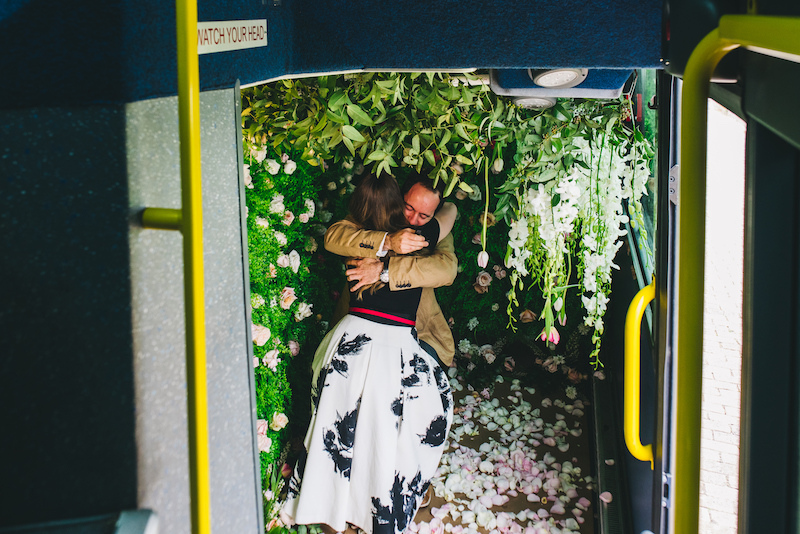 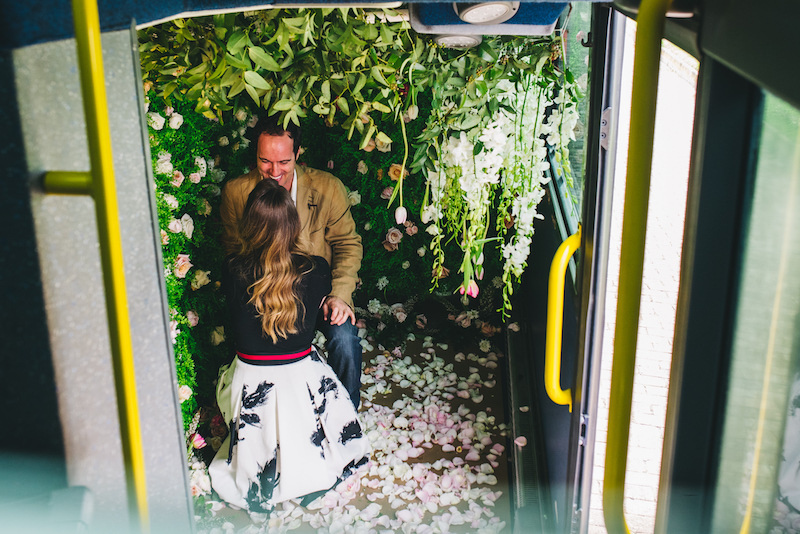 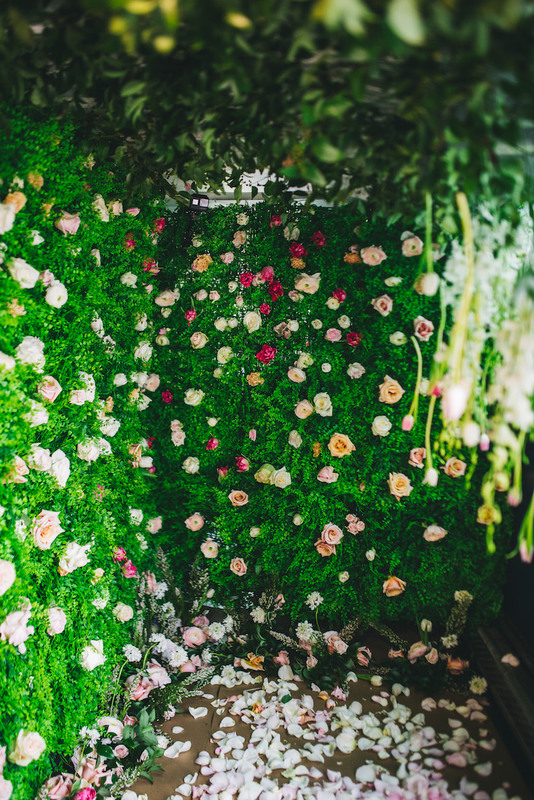 They escorted Chelsi to a nearby Megabus and when she stepped onboard she found thousands of beautiful flowers covering the inside of the bus and her man was on bended knee! 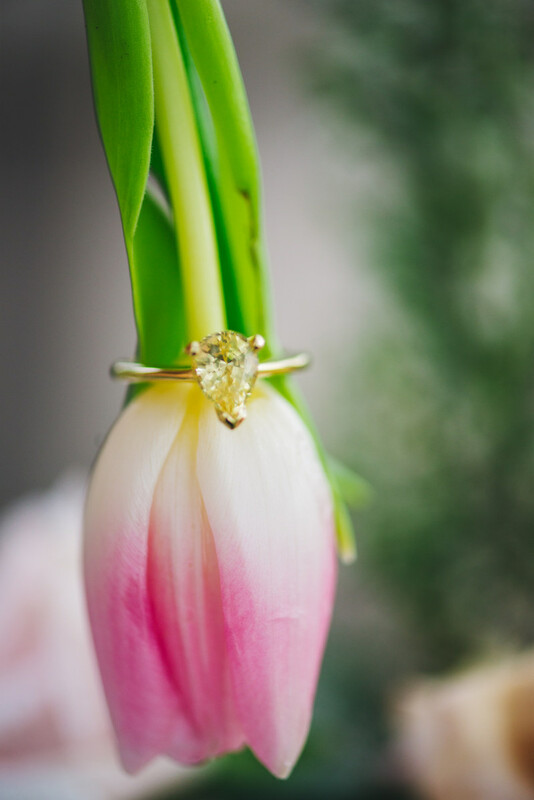 He popped the question and of course she said yes! 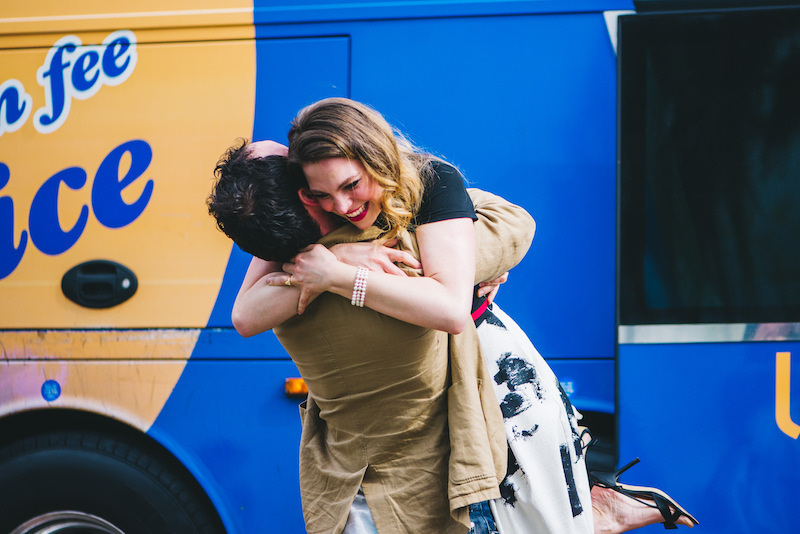 Then as they celebrated by slow dancing in front of the bus, their parents surprised Chelsi! 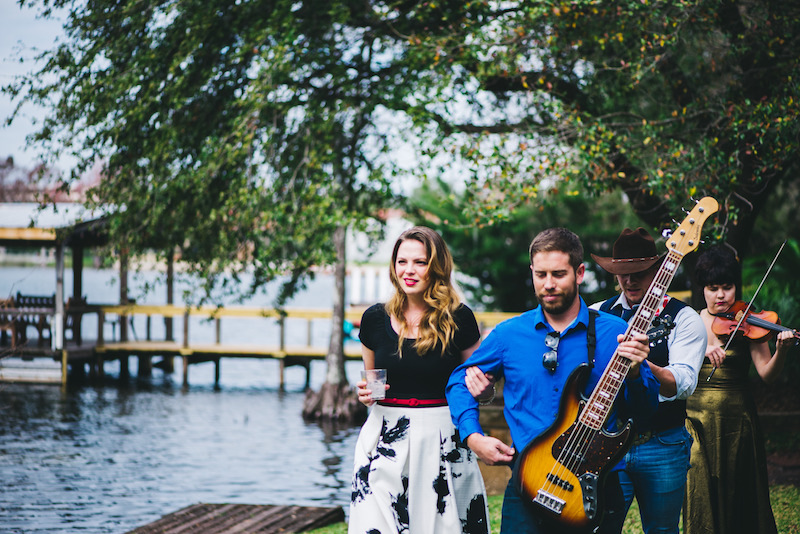 This couple was honestly two of the kindest people you have ever met. 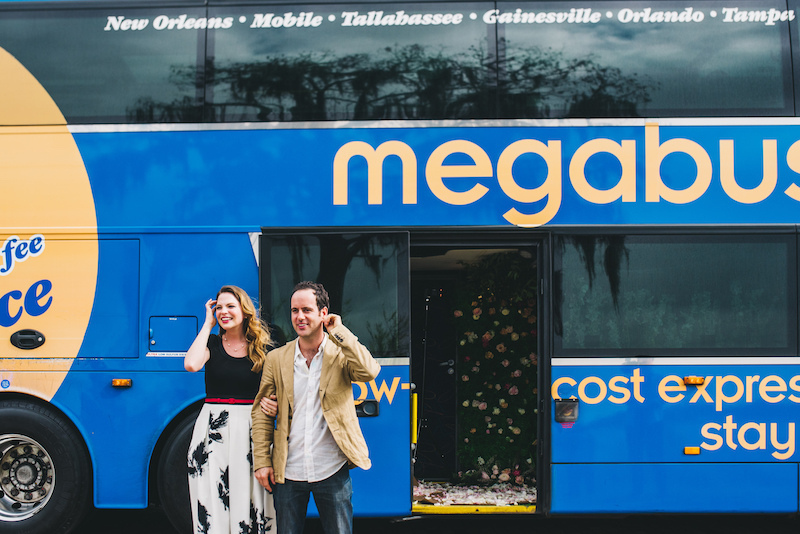 They were so thankful to have won the Megabus giveaway and they were just so dang happy to be engaged! 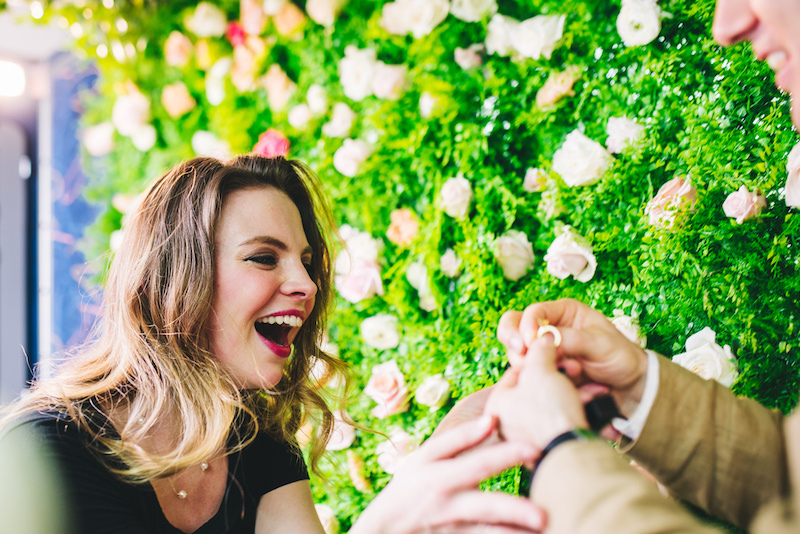 Their pure joy was contagious and every vendor left with a huge smile on their faces (even if we were running on only 3 hours of sleep).